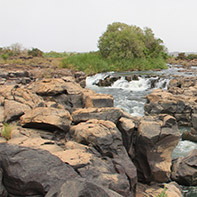 Baguinéda location, on the Niger river, 35km east of Bamako. 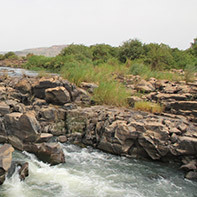 Through its subsidiary, Kénié Renewable Energy, on 18th June 2015 the Eranove group signed a 30-year concession agreement with the Republic of Mali’s government for the financing, development, construction and operation of the Kénié 42 MW hydroelectric plant at Baguinéda, on the Niger river, 35km east of Bamako. In June 2018, Kénié Renewable Energy began the EPC tendering process (Engineering, Procurement and Construction) for the plant’s construction, a decisive step in the project’s implementation.